Let us light up the entire universe! The darkest times bring forth the strongest lights. Today we spontaneously came across the Festival of Lights in Newington, CT and found ourselves in the midst of people who offered lanterns with their wishes, prayers and thoughts to the water. It was so special that we wanted to share some impressions from there. Meet Sahaja Yoga Practitioners and find out how Sahaja Yoga Meditation has helped them in different areas of their life and experience the Kundalini Awakening right there! We are looking forward to seeing you! 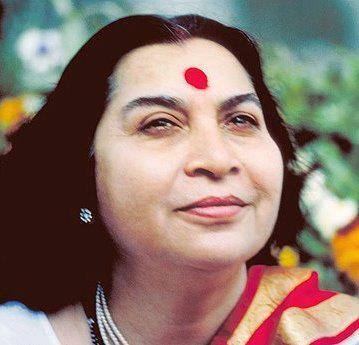 There is a deep connection of Sahaja Yoga with the Mother Earth because the Kundalini is the reflection of the Mother Earth in us which means that with the Kundalini Awakening also the Mother Earth is awakened in us. Find a free ongoing weekly meditation program near you in Connecticut, New York or New Jersey or simply look up “Sahaja Yoga Meditation” in your city! Hey, it’s a beautiful Day! Since 1986, every third Monday of January is observed as Martin Luther King day in the United States. Martin Luther King, Jr. (Jan 15, 1929 – Apr 4, 1968) was an American activist and prominent leader in the African-American Civil Rights Movement using nonviolent civil disobedience. He became a national icon in the history of American progressivism. On Oct 14, 1964, Dr. King received the Nobel Peace Prize for combating racial inequality through nonviolence. Martin Luther King, Jr. was directly influenced by Mahatma Gandhi’s testament to the revolutionary power of non-violence. Dr. King argued that the Gandhian philosophy was ‘‘the only morally and practically sound method open to oppressed people in their struggle for freedom’’. Find a free ongoing weekly meditation program near you in Connecticut or simply look up “Sahaja Yoga Meditation” in your city! One of the main fears in our life is to lose life. I would like to share a post for all those who are dealing with a loss or are facing the last steps. I hope that it brings the same comfort it has brought to me. Death does not exist. There is nothing like death. We are made of five cocoons. One of them is the cocoon of food called as Annamaikosh. That only drops out, and also a little bit of water within us also drops out. The rest of it remains. Nothing! I wish you could die like that it is just changing of clothes you know. Like when I came from Birmingham I just changed my clothes in the hotel, and came here to be refreshed, to be new. Just like that as our clothes become dirty we change them, or become old we just change it – that’s all. unveil the mystery of light. I would like to add for those who sometimes feel that death would be better than life to not give up. If nothing helped then give it a try and come to the free Sahaja Yoga Meditation classes – you will find a new hope and new strength there. Young people talk about meditation, using the power of love and the magical outcomes.